Once upon a time Media meant the One & Only ' Block-Buster ' ( the pun is intended for Block-Printing ) Print Media. With the rise of Radio and Television, Electronic Media surpassed the Monopoly of Newspapers, Magazines etc. Today's Android generation would not even believe the fact that, just a few years ago, in the beginning, Aakashwani and Doordarshan were the only channels for Radio and Television respectively. Now the number of channels in Electronic media outnumber the Baskin Robbins flavors. Social Media is the latest trendsetter in succession according to the theory of Evolution. Social Media is Omniscient , Omnipotent and Omnipresent. It basically includes Websites and Applications that enable users to create and share ( mostly Free of charge ) Content or to participate in Social Networking e.g. Orkut ( now extinct ) , Facebook , Twitter , Reddit, Blogging, Whatsapp, Tumblr, Instagram , Pintrest, Linkedin , YouTube , Viber , Snapchat , Google+ etc. 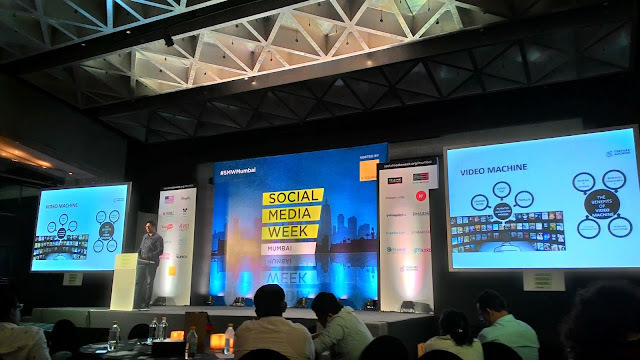 12 to 16 September 2016, September's edition of #SMW16 is happening in four globally prominent cities, Mumbai ( #smwmumbai ) , London ( #smwldn ) , Miami ( #smwmiami ), and Sao Paulo ( #smwsp ). 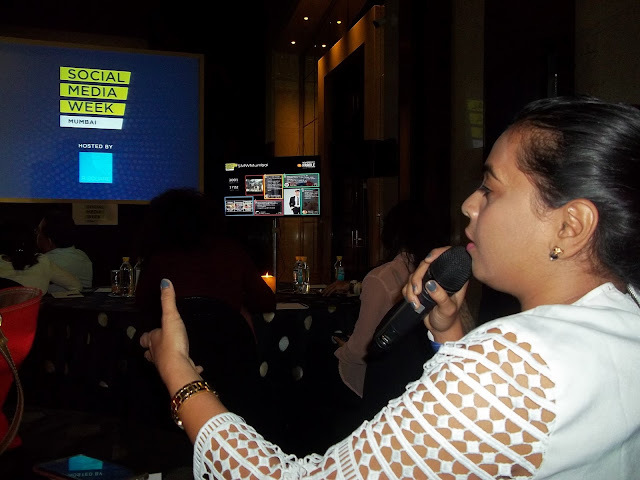 The 4th Edition Of Social Media Week in Mumbai #SMWMumbai , a leading news platform and worldwide conference that curates and shares ideas, innovations and insights into how social media and technology are changing business, society and culture around the world started on 12th September 2016 at Hyatt Regency - Mumbai. 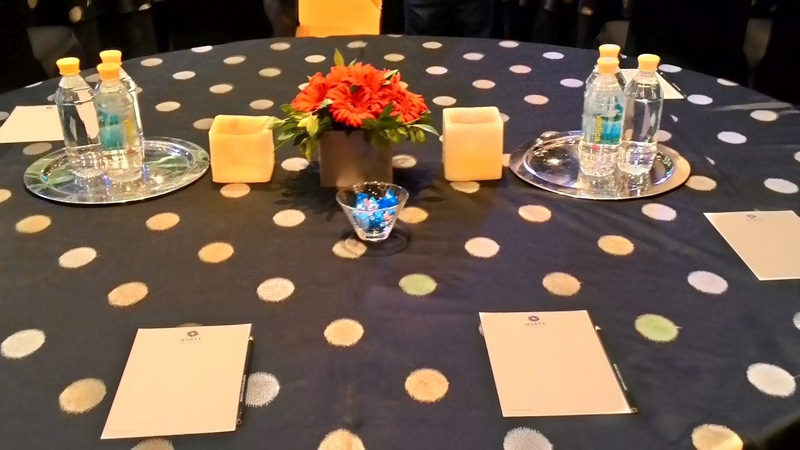 #SMWMumbai is Conceptualized as well as produced by R SQUARE Consulting a marketing services agency specializing in managing Brand Properties and providing Services - Brand Identity Consultancy & Design, Brand Activation & Events, Retail Marketing and Digital Marketing. #SMWMumbai has an absolutely rocking team of Social Media Luminaries like Rohit Varma ( @rohitvaarma ) : Co-Founder & Managing Partner - R SQUARE Consulting, Bindu Gopinath : Managing partner - R SQUARE Consulting, Prabhakaran : President - R SQUARE Consulting, Robin Xavier : Sr Brand Associate- Digital - R SQUARE Consulting, and Page 3 Celebrity Social Star : Manish Pandey ( @join2manish ) , Blogging Partner : BlogAdda , assisted by Twitteraties Arunima Singh ( @arunimasingh13 ), Pratik Telang ( @socialtelang ), Shreyas Deshmukh ( @shreyshtyle ) , Sameer Jawle ( @sameerjawle ) , Amit Panchal ( @AmitHPanchal ) , Nikhil Makwana ( @nikhilhmakwana ), Roshan Gupta ( @TekiRosh ), Ankita Wadekar ( @SmallSurprise ) , Zankrut Oza ( about.me/zankrut ) etc. Social cause partner of #SMWMumbai 2016 is @IChangeMyCity , which cultivates and nurtures the spirit of active citizenship. Vivek Nayer ( CMO - Auto Division - Mahindra & Mahindra. In his key note session, " Power of Storytelling in the Landscape of New Media " , Mr, Nayer emphasized, how Stories can be brought to life when we have examples to share. 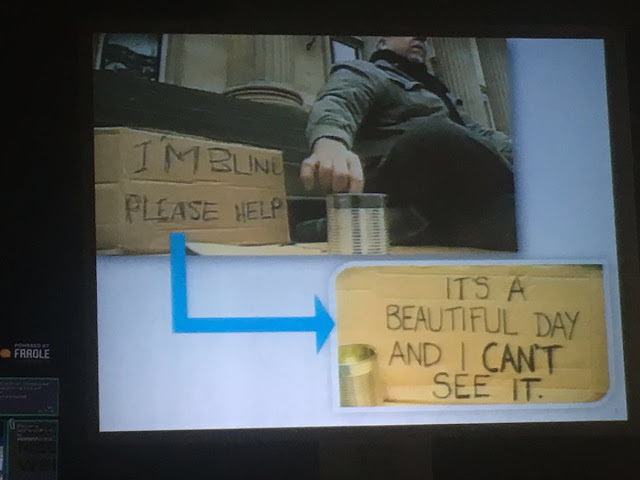 A placard near blind beggar reads 'I am blind. Please Help.' A pedestrian replaces that placard with 'It's a Beautiful day and I Can't see it'. You can imagine how that changes the FORTUNE of the beggar. Yes, that's the power of effective Storytelling. Social Media is fantastic for consumer complaints. Innovation and Virality are the new ways of story telling using new media. "Even a Single Sentence Story can alter your fortune forever if right words are used "
Quick Take away from Vivek Nayer's session: For Brands to tell good stories : Brand Values, Relevance , Context , Co-creation , Innovation , Topicality , Interactivity , Pictures and Videos tell the story better. "Communities drive brand, they drive engagement. Communities exist and we should support them. Empower the community and community will empower you. Building a community is not a tactical decision, you must stay invested. In social, being personal is very important. A well thought out social community strategy can do wonders for a brand. Stories are nothing but 'Data with Soul'. The six flavors of video content / format are as much exciting as ice cream flavors. The Panel discussion was conceptualized by Avid Learning, "Is Social Media The New Art Gallery? with Farah Siddiqui as anchor and panelist Tushar Sethi, Jatin Kampani. Tushar Sethi of Astad Guru ,"Social media goes hand in hand from a business perspective. The supportive role of Social media, online galleries and creative collectives play in today's art eco-system. Kiran Nadar ( wife of Shiv Nadar ) is one of the largest collectors of art in the country. Social media helps me reach my target audiences in multiple ways. Jatin Kampani, "Penetration of Social media is difficult in today's time due to attention span. Everybody is an artist is what I believe. When the volume of work is so high, online viewing enables accessibility. Instagram is your personal Art gallery. We are living in a tsunami of expressions. Social helps in re targeting and re marketing. Social media is breaking the barriers by connecting artists to audiences worldwide. Nirmalya Sen ( CEO Havas Worldwide Ind. ) "Making online and mainline work together?" " An online and offline balance is very important for a successful campaign. Unless you have got the consumer's journey right, an integrated approach won't work. Integration of Social media and mainline marketing is all about creating a journey. You managed to include everything about SMW with interesting narration. Hey Rakhi, Welcome to ' Spirit of Mumbai'. Thank you very much for appreciation. Hi Raj , Welcome to 'Spirit of Mumbai'. 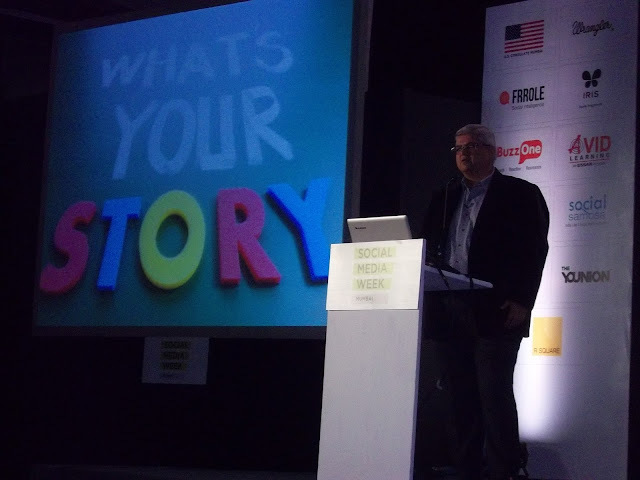 Thanks and Would like to read your version of #SMWMumbai. Thanks Sujata! I am unable to attend it so this post really helps! Hi Anuradha, Hope you are doing great. See you soon. Thanks. Hey Manish , Welcome to 'Spirit Of Mumbai'. Thank you very much. And yes, the spelling mistake is rectified. 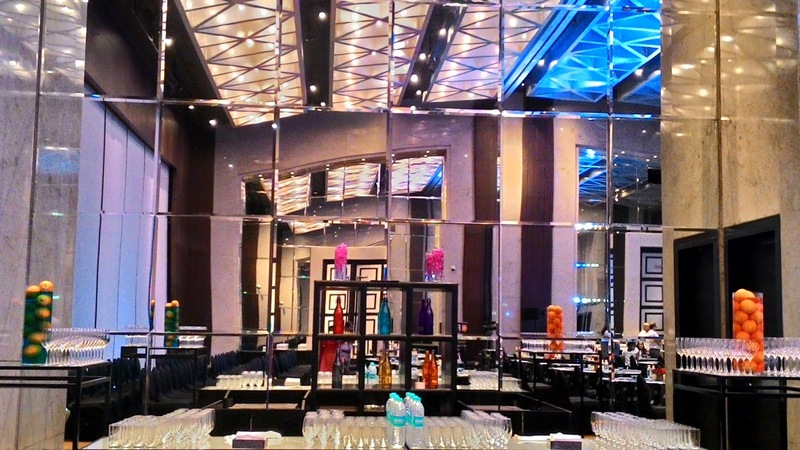 It's a highly informative post with lively pictures telling a lot about the event. Hearty thanks for sharing. Should attend this event once.. Welcome to 'Spirit Of Mumbai'. 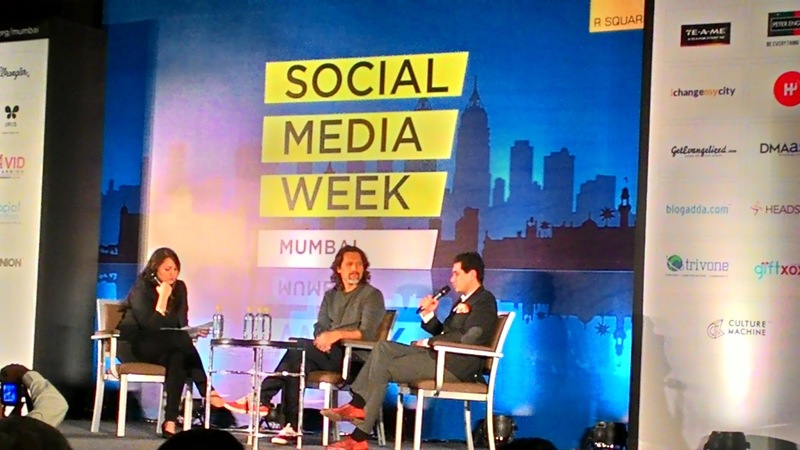 Thanks , the #SMWMumbai event was choc-a-block with latest trends/ Info about Social Media. 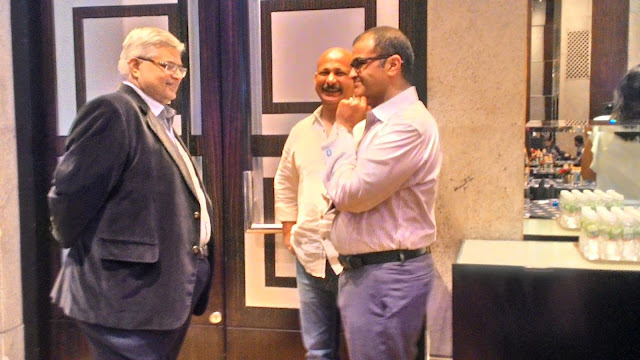 Yes, Shrinidhi you should attend either #SMWMumbai or the next one will be #SMWBengaluru . Well Put up post Sujata loved every bit of being there. Hey Pooja, Thanks. Your peppy company and photo frenzy added extra dimension to #SMWMumbai.